MOSCOW, January 25. /TASS/. The International Association of Athletics Federations (IAAF) approved applications from 18 Russian track and field athletes for permission to participate in international tournaments this year under a neutral flag, a spokesperson for the All-Russia Athletics Federation (ARAF) told TASS on Thursday. Among the athletes, who had been granted approval by the IAAF for the neutral status participation in international competitions, is Russia’s two-time world champion in high jump Maria Lasitskene. "Maria (Lasitskene) received a letter today from the IAAF, which granted approval to her application," ARAF’s spokesperson Natalia Yukhareva said in an interview with TASS. Competing last summer under a neutral flag, Lasitskene won the IAAF World Championship in London, becoming the two-time world champion. Last season Lasitskene won every tournament she took part in, including the final of the IAAF Diamond League in Brussels. Due to the ARAF’s currently suspended membership in the global athletics body, the IAAF made a decision in late 2016 to allow Russian athletes, who meet IAAF’s required criteria, to compete in international sports events under the neutral status. Almost all approvals for the neutral status participation, subsequently issued by the IAAF to Russian athletes, expired on December 31, 2017. In late November, the IAAF allowed the athletes already granted permission to extend it in a simplified manner without losing much time on filling out regular forms. In 2015, the WADA (World Anti-Doping Agency) Independent Commission carried out an investigation about the activities of the ARAF, the Moscow anti-doping laboratory, the Russian Anti-Doping Agency (RUSADA) and the Russian sports ministry. 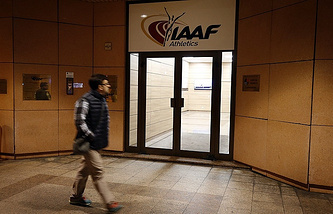 Eventually, the IAAF decided to suspend the ARAF’s membership in the global governing body of athletics and put forward a string of criteria, which the Russian ruling body of track and field sports was obliged to implement to restore its membership in the global federation.